Come Tour Fazzino’s Studios at New Rochelle’s 2017 ArtsFest! We are once again participating in the City of New Rochelle’s Council on the Arts annual ArtsFest, a weekend long festival highlighting the best the area has to offer. 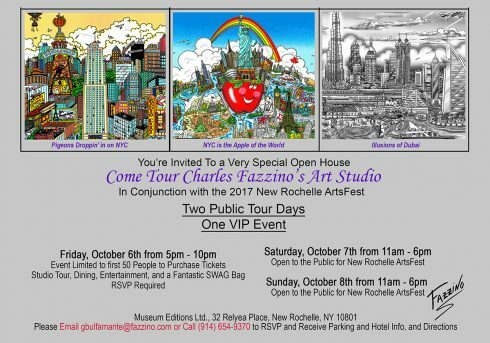 Since we think that Charles Fazzino’s studio is certainly one of the VERY BEST things in New Rochelle, we’re opening our doors to the public! We’ll offer public tours on Saturday and Sunday, October 7th and 8th from 11am – 6pm. And on Friday night, we’re hosting a very special, limited, ticketed collectors club VIP event from 5pm – 10pm. This year, the city will come alive with art exhibits, live music, great food, incredible performances, shopping, and tours of artists’ studios throughout the downtown area for an entire weekend! Each day, there will be something different to enjoy. We will join in the fun by opening our doors each day from 11am – 6pm. 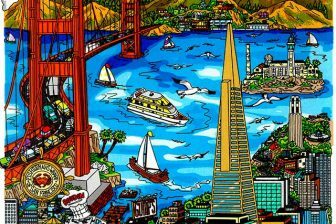 Come see Charles Fazzino’s latest and greatest works of art. Enjoy a behind-the-scenes studio tour, spend some time with the artist, and even participate in our interactive project. Highlights will include a new collection of both originals and limited edition 3D releases, a huge Fazzinoesque version of the American Flag, never-before-seen dioramas and some incredible works-in-progress. Saturday, October 7th AND Sunday October 8th will be ARTSFEST WEEKEND! Come Celebrate the Arts in New Rochelle, NY! Come join us for this incredibly special event. But don’t wait too long to RSVP. Tickets are going very quickly and we are limited to 50 guests! New Rochelle Plans Biggest Arts Fest EVER! On October 6th, 7th, and 8th, New Rochelle and Pelham, NY will be alive with art exhibits, live music, great food, films, and exciting performances. Among the highlights will be the return of the free Culture Trolley, artist’s open studios, a classic car show, plus activities taking place in public and private cultural institutions throughout the two towns. It will be a fabulous weekend of FREE art exhibits, music, dance, films, classic cars, and family-friendly activities and entertainment. 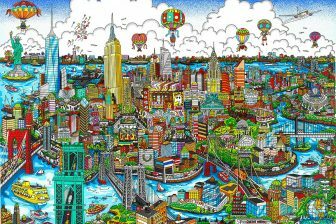 Participating artists and venues include: New Rochelle Public Library, Pelham Art Studio, Thomas Paine Cottage Museum, and of course, the Charles Fazzino Art Studio. For a complete schedule and details, visit www.newrochellearts.org. 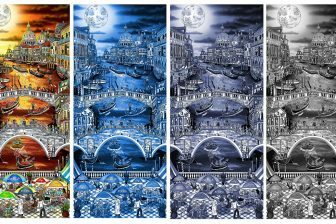 Friday, October 6th: Private Fazzino Collectors Club Reception – Tickets and RSVP Required. Limited to 50 People. Please RSVP at gbulfamante@fazzino.com or call us at 914-654-9370. We’ll send you specifics with directions and parking instructions.View scenes from 2016 ArtsFest here.Looking forward to seeing everyone this year!